Great White Electrical Systems is a licensed, insured and bonded electrical contractor servicing Orange County and surrounding regions since 1996. Our services cover a variety of electrical needs in residential, commercial, industrial and those undefined electrical projects. We are also one of the top 10 GENERAC Dealers in Orange County. 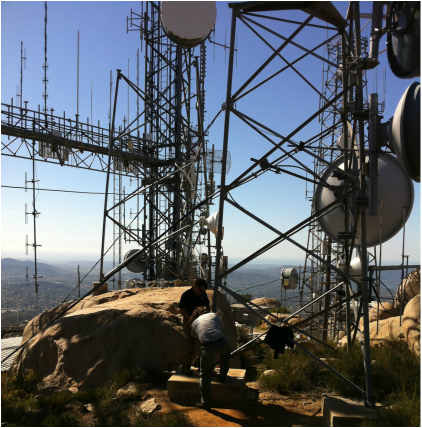 ​Whether you have a need for a backup generator, low voltage LED upgrades, electrical tenant improvements, alternative solar power or need service with your radio broadcast tower, we can do the job right! We offer a variety of services. Contact us for a free quote. Great White Electrical Systems raises the standard for our customers by focusing on customer satisfaction. That is why our motto is INTEGRITY, SERVICE and COMMITMENT. You can rely upon our skilled craftsmanship and technical knowledge, backed by over 40 years of field experience, to tackle your project with careful planning and scheduling to ensure on - time completion. Call us to discuss your next project! Great White Electrical Systems is a family owned and operated business whose story began three generations ago. After 20 years of experience in the field, Monty White continued in his father's footsteps as an electrical contractor and began his own venture developing Great White Electrical Systems, which has grown in almost 20 years to become one of the most reliable and valued electrical contracting firms in Orange County. As a residential, commercial and industrial contracting company we are dedicated to providing quality services at competitive rates. Check us out.